The Surprising Coast close to Bilbao Private Tour. Aitor was excellent. Informative, flexible, personable.... We all (adults and kids alike) enjoyed our day with him. TOUR GUIDE RESPONSE: Thank you so much Bradley! 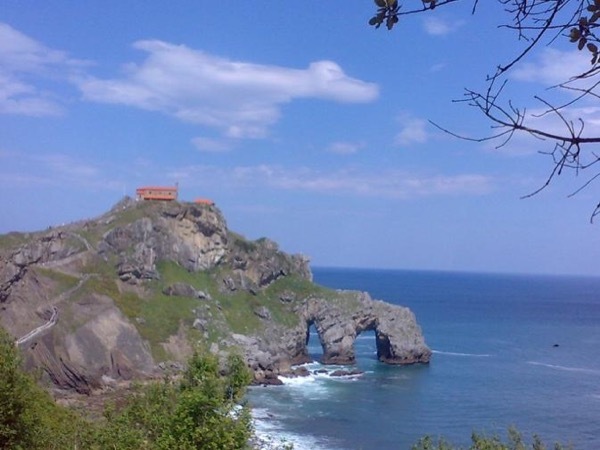 I was so happy to show you this area of the coast, so close to Bilbao, but so different! Hope that next time we have time to see other things! Aitor is a great guide -- very flexible and attentive to his guests' desires as his tour progresses. Really enjoyed our time with him! We liked Aitor very much and he gave us a wonderful tour of the Bilbao area, the sea, Guernica, the Guggenheim museum. We also learned a lot about the Basque culture and language. He then sent us pictures he took of our small group. TOUR GUIDE RESPONSE: thank you very much for your review! I was really proud to show you some corners of the Basque Country. Hope that next time we have more time and we can go to other areas, like Rioja wine production area! I highly recommend Aitor! My husband and I had 3 tours with him during a 2 week period which included Pamplona, Bilbao, and San Sebastian. We were so impressed with his extensive knowledge of history, culture, and even geology! He enjoys his job and is patient and pleasant. He continually customized our tours for us based on our interests and the weather. He tried to make sure that we were able to do as much as possible during our 3 tours and made suggestions for things we could do/see on our own as well. TOUR GUIDE RESPONSE: Thank you Laurel, the coast of Biscay is often overlooked by many travellers coming to Bilbao and I really believe that it is a pity. I am glad that you liked it! Aitor is wonderful. He is very knowledgeable and willing to share it with his clients. He kept everything very laid back and was willing to do whatever we wanted during our travels. If we wanted to stop somewhere or linger a little longer it was no problem. He was anxious to please, even suggesting some additions to the tour that we enjoyed and sending some pictures after the tour so we could remember the names of the villages. Thanks Aitor. TOUR GUIDE RESPONSE: Thank you for your kind review. It is my pleasure to really make you feel comfortable and I feel very happy when I know that I am successful on making you enjoy best your time in Bilbao and the Basque Country. Thanks. Aitor D.
Aitor was a wonderful guide, both during the Biscay coast tour my husband and I took with him and also in Bilbao, where we joined six friends on a walking tour of the city. He's very knowledgble, patient, personable and thoughtful; in satisfying our curiosity and accommodating our interests, especially in Gernika, he seemed as much good friend as professional guide. We highly recommend him and, given the opportunity, would gladly tour with him again. TOUR GUIDE RESPONSE: Thank you for your review. I want to give a first hand view of the Basque Country and I am always very happy to adapt to your desires, this is what I love, giving you a fully personal experience!